It is approaching 2 years since we purchased our previous wide format digital printer the 'Latex 360' and we felt it was time to re-invest again. 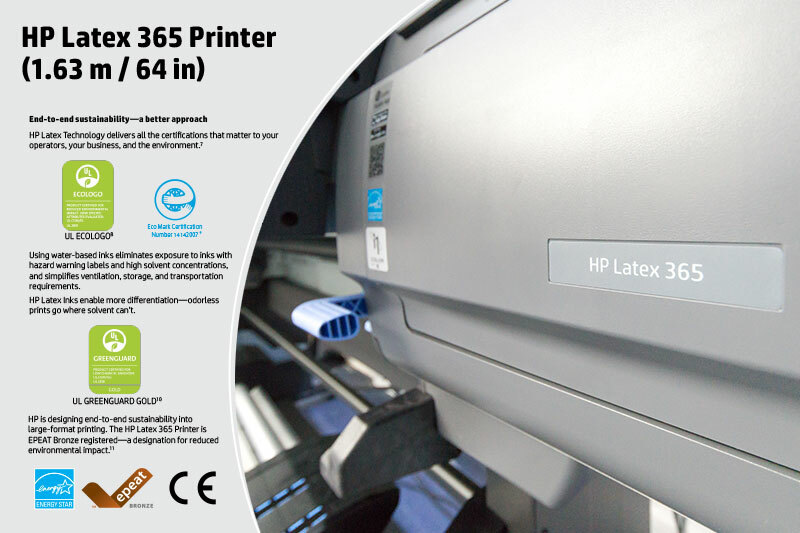 We have again opted for an HP branded latex ink model and now welcome the 'Latex 365' into our studio. Sharing identical consumables and reducing overall print times. A software upgrade now means there will be NO waiting time in-between print jobs which will enable us to increase output. The solvent free 'Latex 365' is not only Energy Star accredited for its efficiency, but utilises water-based latex inks that produce no VOC’s which are responsible for contributing to local air pollution. Latex inks also known as resin inks, use a type of polymer to encapsulate the pigments, which are then suspended in water as a carrier liquid that can be jetted through the printheads. Heat is used to evaporate the water away, and to activate the polymers to bind the pigments to the media. 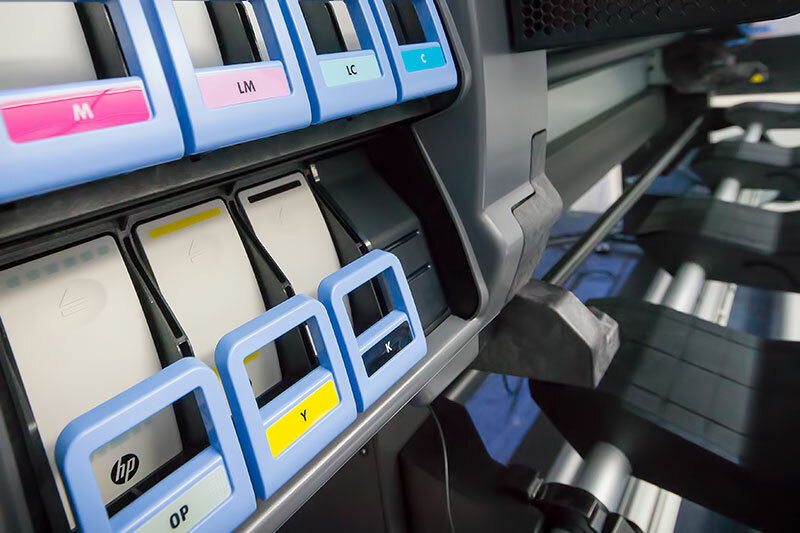 The end result is all printed media will emerge dry, odor-free, and ready to use immediately without waiting for the ink to dry as with previous solvent based printers. HP continue to offer a dedicated collection and recycling service for all their toner and ink materials. This ensures that all such materials are responsibly collected and recycled. ALL of our digital printing is now 100% solvent and VOC free. Solvent free digital printer at Benson Signs.